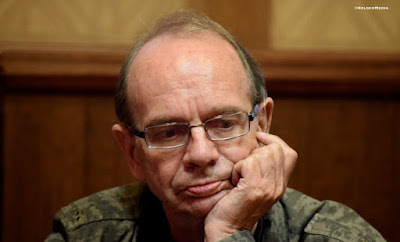 Roy Peters dropped over Donner Summit from Reno to come play Day 1C of the Ante Up Worlds kickoff event - Day 1C of the $100,000 Guaranteed Catapult. Joining Peters so far in the field is 2016 Ante Up Player of the Year Dalton Still, POY runner-up,Matt Boddorf, Donna Delfin, Sharon and Al Sanchez, Ken Jorgensen, Dermot Lyons, James Phamsopha, Rafe Craft, Beast Valdez, Travis Fujisaka, Charisse Case, Lay Saelee, Sean Burson, Cheri Svensen, Lynda Hernandez, Elissa Norman, Andrew Barber, Dan McGee, Jeff Day, Darrell Cain, Mike Husa and Tony Le. There's about 2 in line, the flow of incoming players staying constant here through the first two levels.